BC consultants wrote the book on Oracle Data Warehouse technology. 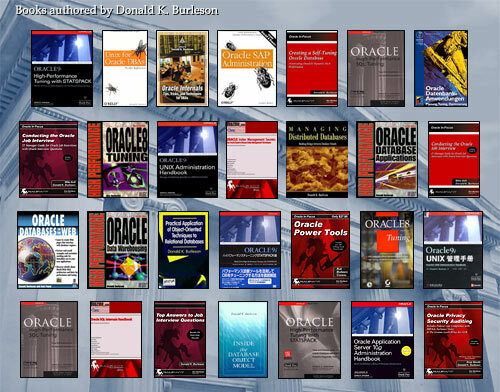 Burleson's bestselling book Oracle High-Performance Data Warehousing sets the standard for Oracle data warehouse administration. Burleson consultants have have been tuning very large databases since the earliest days of data warehouse, and we specializes in data warehouse project management, data warehouse design, and data warehouse integration and tuning. We are also expert at Oracle Data Warehouse services (Oracle Warehouse Builder), Oracle OLAP technology and Oracle decision support system development. BC is committed to providing world-class Oracle data warehouse consulting services that are customized according to the needs of your company. For example, Burleson and Ault have worked with some of the world's most sophisticated Oracle data warehouses and are available for on-site Oracle data warehouse consulting engagements. In addition, BC consultants have published numerous articles on Oracle data warehousing, and we are considered expert in all areas of Oracle data warehouse management. Data warehouse analysis and design - BC experts can review your data warehouse design and suggest techniques used by other successful Oracle data warehouse shops for seamless integration and fast performance. Oracle data warehouse integration - This includes hardware and software evaluation, ROLAP and OWB integration and ETL automation. Oracle business intelligence - BC has been doing decision support systems since the 1980's, and we have some of the world's best Business intelligence experts. Data Warehouse Training - Training your DBA staff on Oracle data warehouse tuning techniques. Oracle data warehouse Tuning - BC expert perform STAR transformation tuning and materialized view creation for optimal data warehouse performance. BC specializes in developing summarization and aggregation mechanisms. Improve end-user satisfaction with super-fast response time and on-target data. Improve manageability for Oracle data warehouse ETL and backup & recovery. Ensure that you Oracle data warehouse design is the same as those adopted by successful corporations. Reduce serve hardware stress by tuning all data warehouse queries for optimal performance. Ensure that your Oracle data warehouse project is successful.